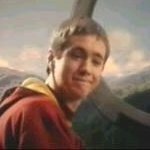 He is the captain of the Quidditch team. Plays as a keeper. He is obsessed with Quidditch. This page is within a frameset. View the entire genealogy report of Wood families, or surname index of Wood pedigrees or report summary Wood heritage from 'Harry Potter Family Tree'.